Welcome back to another coaching call between Samara and I! If you have been following along, you will know that during our last call, we discussed in depth how to go about picking a good niche for your website. In addition, we also covered some of the strategies and steps we will be employing overall during this project. For our 3rd call, we decided to do a bit of review. After Samara dove in with her assignment, she was struggling a bit and wanted some clarification. This is totally normal! I remember Perrin going through the same struggles when he was a student during Niche Site Project 2. Complete the “Is This a Good Niche” Checklist for your 3 to 10 potential niches (Here is a link to that spreadsheet here). Now think about…what niche “tastes” the best? Before you watch the video from call 3, you can read Samara's thoughts below. How’s the quest to find a market going? I hope you’ve been having better luck than I have! I was seriously pumped after my second coaching call with Spencer, and I spent the week (happily) chained to my desk searching for doppelgangers. Turns out it’s harder than it looks! My excitement to get cracking quickly turned to frustration. I was able to find lots of long tail keywords with a low KC, but every time I checked the competition on the first page of Google, it was always Brutal (capital B)—I’m talking DAs ranging from 40 all the way up to 90. Cue the sad trombone! But the search continued, and I finally found some keywords which had several sites with a domain authority of less than 25. I was thrilled that I had found a few potential markets, but I had to cancel the celebratory champagne when I looked them up on SEMrush: their traffic numbers were less than 1,000, making them ineligible for doppelganger status. So, I asked Spencer to spend one more coaching call walking me through the process with the hope of getting a better handle on it and maybe approaching it from a different angle. We took a closer look at some of the keywords I found and he dissected the results. The one keyword I found (bad sign!) in my jewelry making project quickly proved to be a real dud. The websites ranking had weak authority, but the traffic was dismal. We also took a look at an example from my gardening project in Long Tail Pro. This exercise provided several interesting takeaways. First I learned that not all keywords need to be money keywords. Not all articles will aim to sell products, and the site needs straight-up informational texts as well. Second, when looking at a competitor’s domain in SEMrush, you can plug the keywords they’re ranking for back into LTP and see where they take you (the “following the breadcrumbs” approach). And third, it’s generally a good sign to see websites ranking for our keyword that are also focused on a wide range of other topics (like www.thoroughlyreviewed.com). As Spencer says, if they can rank with their “non-focused” websites, then our “focused” website has a very good chance of ranking too, since our links will be more relevant and the websites linking to us will also be related to our specific market or niche. It was also really helpful to hear how you approach the market once you find a few keywords and doppelgangers: even though “gardening tools” looks promising, the website should revolve around gardening in general, and you might start with tools and then branch out into loads of other related topics. Seeing Spencer go through a few more examples was ridiculously helpful and really hammered home the steps of the process and what I should be focusing on (product-based keywords, doppelgangers with traffic in the thousands, etc.). All in all I felt this was a super valuable coaching call as he was able to share his thought process as we explored different keywords, domains and SEMrush results. Nothing like getting inside the head of an expert! Well it’s back to the drawing board for me, but this time I have the feeling I’m going to knock it out of the park! If you would prefer to listen to the audio, you can download it here. Otherwise, enjoy the video below! During our next call, we are going to cover how to do in-depth keyword research. Remember, at this point in the process we are still just trying to figure out what niche to go into. Once Samara has picked her niche, we will then start compiling keywords that we can target on the site. I'm excited to see what Samara comes up with! Overall, I hope you are having some luck with your own niche research and that this video call helps. As always, if you have additional questions, feel free to join the Niche Site Project 3 facebook group right here. As a heads up, I'll have Jake and Perrin's next coaching calls posted either this weekend or early next week. Thanks! New PageRank Update! But is PageRank Even Important? Starting Over: Niche Site or Amazon FBA? How to Brainstorm For and Expand Keyword Lists: Video Demo! I just started listening and was hoping Samara had the same issue as me….and she did. It looked easy but then I’ve spent the last two days digging deep and finding BRUTAL (in the words of Samara) competition. My issue was I would find TONS of <30 KC but when I saw the DA's of the sites they were all well above 30 and few if any doppelganger type sites. Same boat here….but I know there's more learning to come! I have a question after watching this video. I know that jewelry making did not return good results to build a niche website. However, later it was mentioned that product based sites are best. I’m sure there are a lot of products to buy if you want to make jewelry. I am wondering why you did not try to search for jewelry products. For example: in Amazon there are 112,000 results if you search for jewelry parts. I was thinking this too. I feel like a jewelry making catalog would be a bible sized book. Check out the spiritual jewelry niche, Samara (if you’re into that kind of thing)! Maybe there’s an opportunity there that we didn’t explore. Another interesting video! Samara asks very good questions. I wanted to add something about domain age: I looked in Lon Tail Pro and it gave for several domains a “wrong” domain age (I know that this site exists longer), so I researched and found out that by changing your domain host also the domain age is set to zero. So maybe we should consider this as well? Maybe; however, domain age isn’t the most critical factor…really determining how authoritative a domain/page is what is most important. I had also one question: If you have found a niche which fulfills nearly all conditions but for every keyword there is the same site which is ranking #1. It seems to be impossible to get on the first place, but the competition from #2 downwards is low. Would it be also a good idea to go into these niche, even if you certainly can’t get on Google’s first place? Of course; I’m happy to be anywhere on the first page of google. Great interview even though it was kind of a second time around. I learn a little more each time. Spencer this time you pointed out that when you’re looking at the top google results that as long as you find a few sites with a DA<25 that it's ok that there are other sites with really high DA. seeing really high DAs amongst a few low DAs was discouraging me, but now it won't. Thank you guys!! a) While going through top 10 results… what you say for youtube/vimeo etc large dominant website for some keyword? c) While you used to say , ” find sites like your’s …. ” but while building niche sites for some product.. for affiliate earning.. can we ignore amazon/ other e-commerce etc sites ? as product are listed on e-commerce sites, and reality is that they will come’s in search also many time or sometimes!! Please guide us.. as we (group) of guys building niche website with this project.. we are building niche sites, targeting local users only. 1. Look at all the results and make a judgement call. I think there is still confusion over the amount of organic traffic SEM rush shows. In this video Spencer looks at the stats for chainweavers.com and concludes that it gets a couple hundred visitors per day, but in reality it ‘s only getting a couple hundred per month. Hi Spencer, you mentioned towards the end of the video to write product based articles first then the tutorials/how-tos later. I thought Amazon wouldn’t accept a website where all the articles are just money articles? Shouldn’t there be how-to articles first to show this isn’t a thin website, then add the affiliate links later? I’m sorry if you’re covering content strategy later but I’ve been waiting too long. I’ve done my keyword research and not sure how to write the articles, which ones to write first etc. The point is to have a mix of both…yes. One issue confuses me, assuming we have found low DA high volume competition, and similarly low PA/KC for specific areas we might want to monetize – and then we create highly specific web-pages… those webpages will still initially be low Page Authority. How do our web-pages gain authority. Do we have to beg/ask for inbound links for them all? Or do webpages that are highly tailored to a specific theme gain PA organically? Because otherwise, even a 1st page SERP full of 12PA webpages and 8DA websites are going to totally overshadow my new 1PA webpage and 1DA website. Articles can often rank on their own without links…and often gain links without any effort on your own. Then, yes, some link building helps. Thanks for recapping this, when I was reading Samara’s thoughts it was like reading an insight into to my own thoughts from the previous week. But I like the adventure that is taken on different ideas in this post, it makes it a lot more clear than the first one and I like examples that don’t work probably even more so than the ones that do purely for the fact the examples that don’t work are the ones most of us come across. This episode has sparked some new ideas for me now and I am actually having fun exploring the ideas now where as before I was just getting bogged down in frustration. Glad it has sparked some new ideas for you! Thanks Spencer for another great share! Not many “gurus” like to share such nitty gritty videos, especially for free, I am digging keywords whole day now, and I found that throughlyreview/ site is really “annoying”, a lot of terms ranking lol, well, really not bad, but the contents are must be costly. Hey spencer, hope you’ll doing good. I got one question if you mind it. In LP i have dozen of keyword with KC below 30 and many of them got my doppleganger sites ranking somewhere between page 1-2, but what scare me are some of those High DA site ranking along, my question what exacly goes on your mind to determine if that keyword is good to go, i mean what weight more for you?, DA, PA, Site Age, page link ?, what is the first think that you make sure is weak enough to go after that keyword. Thanks guys for going into this in depth again. I think a lot of us are having the same issues trying to select a niche and determine which keywords to go for. I’ve been doing it all week again, and I can’t believe it but I am actually dreaming keywords. My girlfriend thinks I am obsessed!!! I’ve gone through 8 niches this week and have it down to a couple left to make my decision on. I’m based in the UK so when I am checking the SEMrush traffic should I only be looking at the UK figures? They differ massively between country, so want to make sure I’m checking the right thing. I guess if my domain and hosting account is in the UK, then it’s going to be harder for me to rank in the States for example. The traffic in the UK is a lot less, so this is a little worrying. I’ve noticed that as well. Have you found that it seems other niche sites tend not to pop up in the results in LTP as much in as well? I’d be interested to know from Spencer if for those of us in countries with lower traffic if this is a problem and if we should be looking at US traffic for weak niche seats as good indicators. The extra time spent on this part of the project is defiantly appreciated! Why would you limit yourself to UK? There is no reason your site can’t rank in Google US. It doesn’t matter where you live, your site can rank anywhere. C. Skeffling who you interviewed has a KW research method which she has proven to work . Her method although similar is not as restrictive as your method. To get started why not have Samara also use Skeffling’s method where she may find opportunities easier and quicker. Thank for your epic post, I learned a lot from you. Down the rabbit hole we go! Thumbs up Spencer and Samara, I never thought of that angle; I mean to go into LTP and pull up keywords that sites produced by first campaign are ranking. Me personally my results are not that spectacular nor were they that bad either. I have a couple of lookalike sites that have traffic from 2K upwards but the total is not up to 10 (i.e combining 5 different markets, the total number of sites with 2k and above search traffic is not up 10 but just 4 ), it about 4 or so. But I see that I will need to go in a little bit deeper than I thought. 2- I saw something that blow my mind; I saw a site that is just 9months old but with a DA of 73 and search traffic of 200K plus some change. Is this kind of result possible in just 9months? Thanks for all you time and wishing everyone the best in their quest. 1. Sure. You are likely to find more as you keep looking. 2. Not likely. Something is weird is probably going on with the site age, its probably older. Am I missing something like is there a long running joke with Spencer being sick before each call? Is there something seriously wrong with him? He seems to always be under the weather. haha. We recorded 3 calls all while I was sick. Took my voice about a week and a half to get back to normal. just so happened that we recorded 3 calls during that week and a half. Haha okay. I was wondering if everything was okay or if it was some inside joke I missed. Glad to hear everything is okay! Are you sure semrush.com is showing daily number of visitors, or is that monthly? Please clarify. Samara had the same issue as me, I’ve found tons of kw that KC < 30 and even PA only 1 and Juice links 0, but DA always from 40 all the way up to 90 because they're old sites or amazon or youtube. Do you really think DA is the important factor for ranking? love the concept of the “Doppelganger” blogs. I would translate it with look-alike or double. In some cases like “Elvis Doppelgänger” the translation Elivs impersonator would be better. Thank you very much for sharing your step by step guides. I’m learning a lot and already started to explore my doppelgänger sites. I’m loving all the calls and following along doing my own research. My question is: is it ok to build a site with a view to have a couple of topics? For example in the health space you could have workouts and sleep. Should they be on two separate niche sites or long term building an authority site wouldn’t health be more the niche? I went on another path and finally found what i believe to be a better niche. Is it a problem if i see a lot of doppelganger (about 15 of them) ? I feel like i am going to have some hard time to stand out of the crowd. It’s my first attempt building a niche website and i am “obviously” non native speaker. I may have to outsource the content part. Clear, easy to understand and hard to forget… Thank you for your time, Spencer. 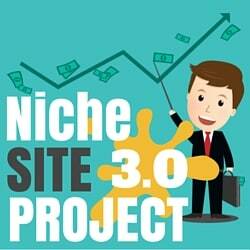 Very good I am following this project and learning a lot about creating niche sites profitable, currently I am using the long tail pro for keywords and have been impressed with both of time this tool saves me because can’t find good keywords and yet at the same time analyze the top 10 with the metrics. It was the best I’ve found so far. First of all I want to thank you for making the project, I am following the videos and they are a wealth of information. My question to you is if I have to build an e-commerce business do I have to take the route of writing a blog and then sell ??? I want to find niche products but while doing niche research a lot of “how to” keywords are returning, which lead to blog writing not products, I am confused here. Please guide me as I believe I am definitely missing something here. I do both. I blog on my ecommerce sites.